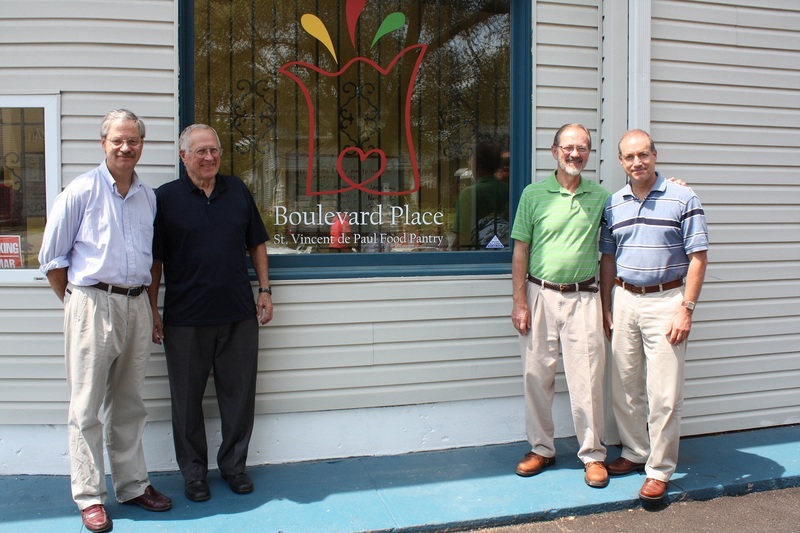 Who: The Boulevard Place food pantry, an affiliate of St. Vincent de Paul, was established in 1982 on the property of St. Thomas Aquinas Catholic Church. In August 2012 it moved to its present location, a stand-alone building at 4202 N. Boulevard Place. 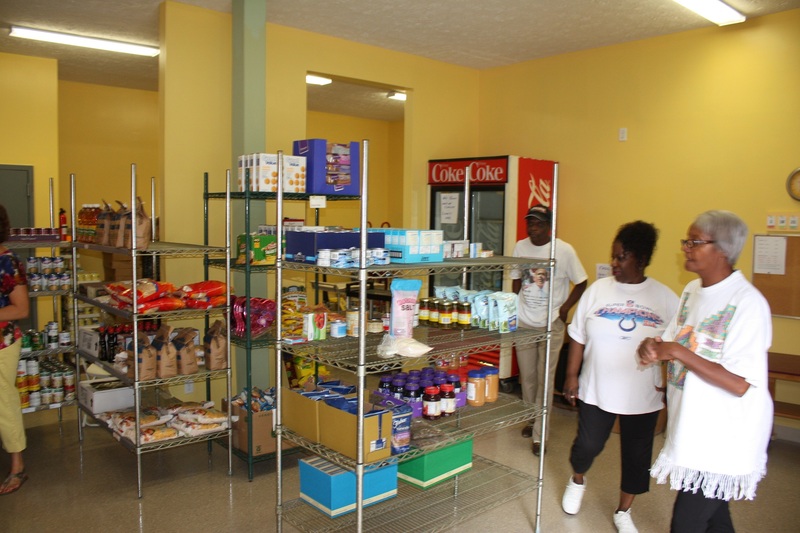 The pantry was created to provide emergency food assistance to people in need. The pantry is supported by 5 contributing Catholic parishes (St. Luke, Joan of Arc, Christ the King, Immaculate Heart of Mary, and St. Thomas Aquinas). The pantry is non-denominational in its outreach. What: In order to receive food on a regular basis, clients must reside within the geographic boundaries of the 5 contributing Catholic parishes. Clients may shop twice a month, self-selecting from staple foods, as well as meats, bread, fresh produce, and personal hygiene items. Clients receive between 16-25 “points” to shop, depending upon family size. In addition, bread, produce and over stocked items are given out for no points. In order to receive food, clients must bring a piece of residential mail postmarked within the last 3 months. Clients who bring their own bags receive an extra food point. The pantry does not turn people away who come for food but live outside the boundaries. Out of boundaries clients are served on a one-time only basis and provided with a list of pantries located within their residential quadrant of Marion County. Partners: Boulevard Place has approximately 120 adult and student volunteers that stock the shelves, assist clients, off load deliveries, clean and maintain the property. Gleaners, Second Helpings, the SHarP Community Garden, Fairview Presbyterian Church, Common Ground Christian Church, St. Vincent de Paul Archdiocesan Conferences, Unitarian Universalist Church of Indianapolis, Butler CUE, and the Broad Ripple Farmers Market. All of these partners provide volunteers and/or food and/or funds to the pantry. The pantry continues to search for ways to be more helpful to clients on a holistic basis. Currently the pantry has partnered with the Marion County Health Department and the Purdue Extension of Marion County to provide clients with nutrition education. The pantry’s efforts in this area are ongoing.